Are you busy and would love a garden full of flowers but don't physically have the time to put the effort in it? This is when the fastest growing seeds are essential. If you’re not careful, before you know it you may have missed the perfect time to begin growing your favourite plants. In some cases, this can be upsetting and you may lose motivation to begin. If only there were fast-growing plants? However, we know how enjoyable it is to spend time outdoors when the weather is warm. Enjoying the fresh air and breathing in the fragrant smell of flowers, sounds good, doesn’t it? On the other hand, maybe you’re just busy and would love a garden full of flowers but don’t physically have the time to garden and put the effort in it. This is when fast-growing seeds are essential. Therefore we have put together a list of the seven fastest growing flower seeds to ensure you can enjoy the garden as much as possible. Cornflower seeds are an easy and budget-friendly seed to grow in your garden. Appearing with blooms of blue, pink, white, red, lavender and maroon, some cornflowers can grow up to 10 inches in height. For best results, plant the cornflower seeds in slightly alkaline garden soil. Ensure you regularly water the seeds up until the point up germination. This will usually be between seven and ten days for annuals and two to four weeks for perennials. Alternatively, you could sow the cornflower seeds indoors as this is equally as easy. Although, make sure to plan ahead and plant them roughly one month before the last frost, or in contrast sow them one month before you plan to plant them outdoors. As with many fast-growing plants, poppies come in many varieties. The Oriental poppy, for example, is capable of growing as tall as four feet. Whereas the Alpine poppy will only grow to around ten inches. Ideally, poppies are best placed in any well-draining soil and will need to be fed and watered frequently throughout the summer. However, it is crucial not to overwater as there is a chance they may rot in cool, wet conditions. The poppy seeds should sprout somewhere between 8 to 15 days, so in no time you can be admiring the pretty colours. Marigolds are a fast growing flower. They are easy to handle and you won’t have a long wait to admire their beautiful flowers in colours yellow, orange and mahogany. On average, the flowers will become visible after eight weeks of sowing. Ideally, you want to plant your marigolds in a place that receives at least six hours of sunlight a day. Place the seeds 1/4 inch deep into the soil and space the seeds accordingly. French marigolds require to be 6-9 inches apart from each other as they are a small plant. However, larger African marigolds required around 18 inches of space between each plant. Once planted, if the soil is continuously moist, the seeds should sprout within five to seven days after being planted. Once germinated, the seedlings of sweet peas develop into bushy plants before transforming into buds and flowers. The total time between planting these fast-growing seeds and flowering is roughly three to four months. However, planting the sweet peas from starts, rather than from seeds, will speed up the flowering process. In a perfect world, sweet peas want to be planted in the fall allowing the flowers to bloom through winter. This is as sweet peas struggle in hot, humid weather. Areas reaching a peak temperature of 23°c are desired. As this fast-growing plant is a natural climber you may want to provide a trellis or a similar structure for it to climb. If you don’t provide a structure for your sweet pea plant to climb, expect the plant to grow low and bushy. Sweet Peas are capable of reaching three to eight feet tall with a spread of two to three feet. Sunflowers, one of the most known flowers in the UK, and also surprisingly quick at sprouting. Within seven to ten days you are likely to catch your sunflower seed sprouting. 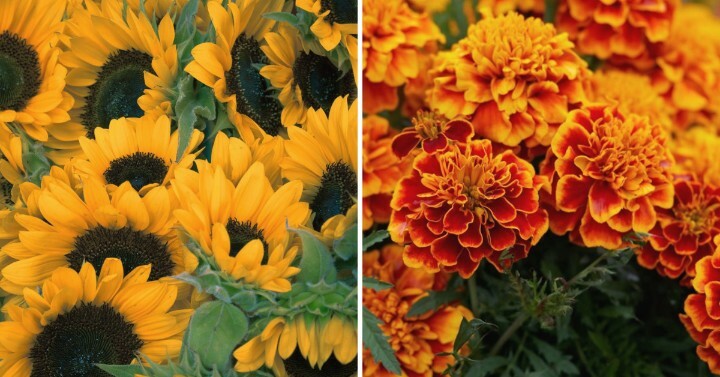 However, if you are one who looks to forward to the amazing shades of yellow, orange, red, bronze and brown, you will have to wait as long as two months for the flowers to bloom – which is still fast! And, if you are interested in eating the sunflower seeds, a popular healthy snack, you will need to wait an additional one month before doing so. Furthermore, sunflowers are able to grow between three to six feet tall depending on the climate and how they are cultivated. Although the sun is the most important necessity for the sunflower, it is also essential to make sure they are protected from the wind for ultimate protection. Starting from seed, petunias could take up to 10 weeks to fully grow. They develop best in full sun but can handle a small amount of shade if necessary. Furthermore, it is important that if you are planting older varieties of petunias that they will require diligent deadheading, otherwise there’s a good chance they will stop blooming. Be prepared with kitchen roll as the foliage can be sticky and any blossoms that have been recently rained on are likely to turn to slimy mush. However, if you are planting newer varieties of petunias they will not require deadheading but will be grateful for pinching or shearing every now and again. You will know when it is time do this as the branches will begin to get longer and you will be able to see where previous flowers lived. Nigella, also known as Love-in-a-Mist, Devil-in-a-Bush and more is an easy flower to plant and grow. 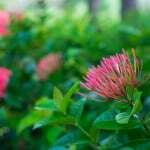 This fast-growing flower is best in cool growing areas with a well-drained PH neutral soil. Amazingly, the seeds could sprout in just eight to fifteen days, which when you think about it, is no time at all! For best results plant them towards the end of April or later with a spacing of 30cm between each plant. Furthermore, considering nigella seeds usually blooms in just a few weeks, we recommend sowing the seeds at least two times between late spring and early summer. This way you are likely to witness beautiful colours of purple, pink, white and blue. Overall, although planting fast-growing seeds to kick-start your gardening experience may sound like a good idea, it is important to be aware of the rules. This is as many of us are purely unaware of the consequences of having a hedge separating your property, or simply where you can and cannot grow a tree. Therefore, take a read of our blog helping you understand how not to be a garden lawbreaker.